I have a love hate relationship with Mixpanel. 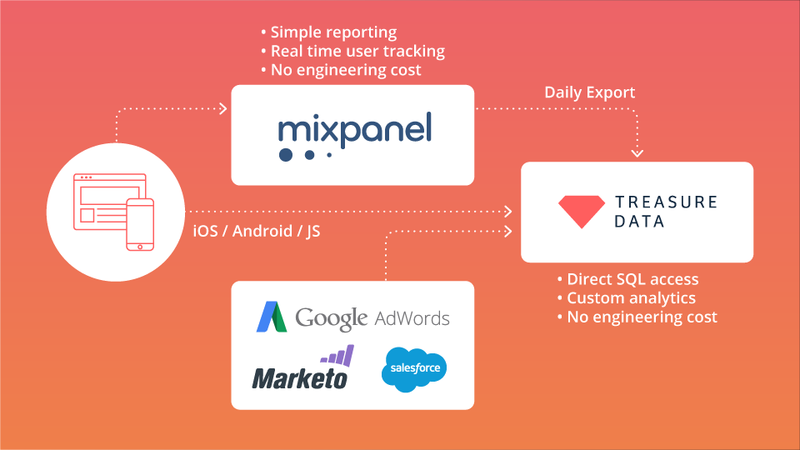 The love part is fairly obvious: Mixpanel allows users to create funnels with minimal technical integrations, and its visualization and reporting functionality have improved tremendously over the years. Interested in which campaign is performing best in terms of conversion rate for a particular funnel? Click, click, BAM! How about looking at trended conversion rates broken down by weekly cohorts? Click, click, BAM! As for the hate part, it’s a bit more subtle but it surfaces when you get to this: click, click, click, Google, click, scroll, back, Google again, click…before you realize that one question you need an answer for cannot be easily answered with Mixpanel. Sound familiar? If you’ve been nodding thus far, then you came to the right place. I will show you how to get event-by-event access to all your Mixpanel data with a SQL interface. As an added bonus, you can export all this data into various systems such as PostgreSQL, Redshift, S3, Tableau and so on. 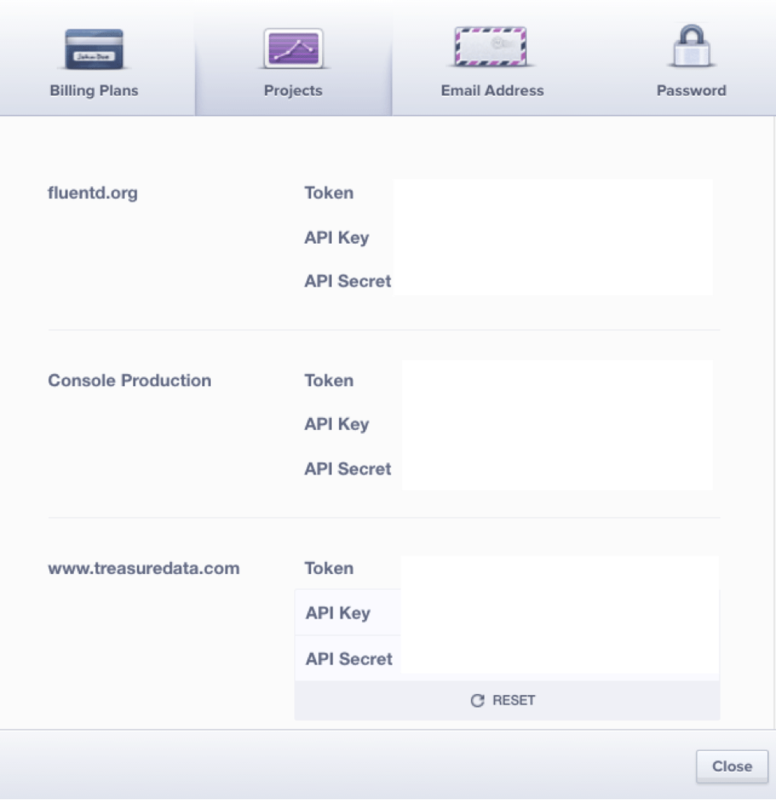 Sign up for Treasure Data for free. Once you are signed up, download the command line tool from here. from_date: This specifies the first date of your Mixpanel events that you wish to import. fetch_days: This specifies the number of days of data you wish to import. mode: This specifies how you want to insert data into Treasure Data. Here, we are appending new incremental data. So, in the example seed.yml file above, we are importing one full day of data on Oct 28, 2015. With the full configuration file (load.yml) in hand, we are ready to import the data. First, create a database called “mixpanel” with a table called “my_project”. Feel free to replace these names with names of your choice (These steps can be done inside our console as well). And now you have direct, raw access to your data on your laptop as a CSV file (we also support tsv and json-per-line). 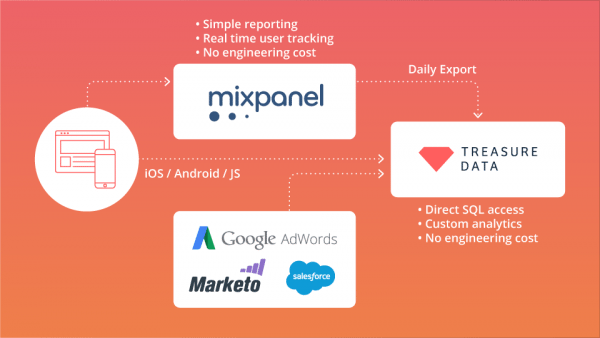 All of this is cool, but in a real world use case, you need to automate incremental export of your Mixpanel data. Treasure Data supports this by creating scheduled executions: It’s smart enough to know what the next execution should look like based on the current execution. In our case, the next execution will run with “from_date: ‘2015-10-29’ with “fetch_days: 1” to load the Mixpanel events from the subsequent date. Had you configure seed.yml with “fetch_days: 7” to get a weekly dump, the next run would have “from-date: ‘2015-11-04’” with “fetch_days: 7”. For our current example, we wish to run this as a daily job with “td connector:create daily_mixpanel_dump “0 0 * * *” mixpanel my_project load.yml”. Optionally, you can specify the time zone with “–time-zone” (It’s UTC by default). Congratulations. Now you have a data pipeline that lets you access your Mixpanel data event-by-event using SQL. The really cool thing about Treasure Data is that it lets you connect your query results to various output systems. We’ve already seen that you can download query results as CSV/TSV, but in addition, we have dozens of integrations, including PostgreSQL/MySQL, Google Sheets, Tableau, Looker, and so on. 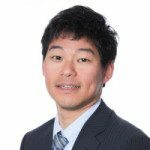 Thinking of taking your analytics to the next stage? Schedule a quick chat with our analytics experts. We will help you bring all data in one place.